Xiao Di 小弟 means young boy in Chinese, so Xiao Di Fried Prawn Noodle supposing to be a young boy frying the Hokkien prawn mee. Truth enough, the young man (we think a little too old to call him a young boy :)) is in his Mid-twenty which is considered very young to be a hawker in Singapore. Compared to other experienced Hokkien mee masters, this young chap seriously has a tough fight to make himself a name in the best Hokkien mee arena with his relatively short experience. Can he make the mark? Let’s see. We ordered the $5 portion. 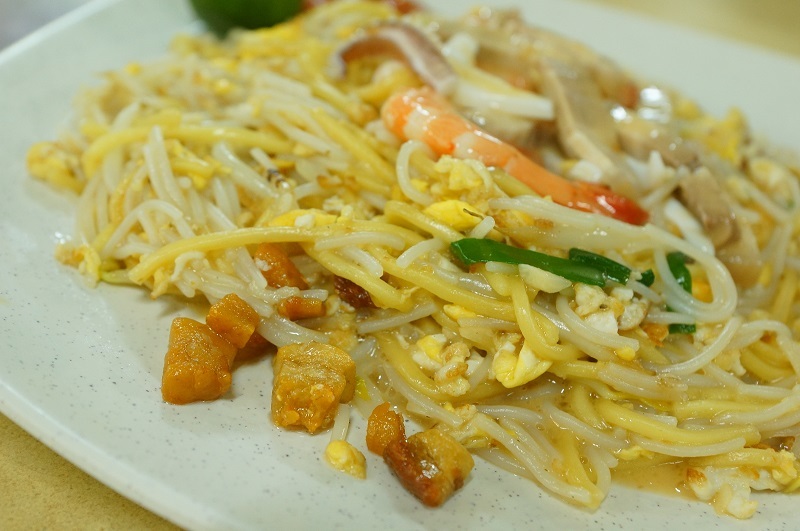 The yellow mee and thin white bee Hoon is about in equal proportion, we like the ratio as it is so far provides the best texture for the plate of mee, the alkaline from the yellow noodles could be too overwhelming if too much and vice versa, excessive white bee hoon turned the plate of mee too soggy and compromised the overall texture. The noodle was slightly on the gooey side, frying with bean sprouts, eggs, squids, prawns, pork belly strips, pork lard and chives. The first mouthful of the mee straight away received the nods from us, the plate of the Hokkien mee may not have the charred aroma but the Xiao Di has the trick of using plenty of eggs to make up the shortfall, the slightly cooked eggs significantly elevated the flavour of the noodles and entice your palate to the core. 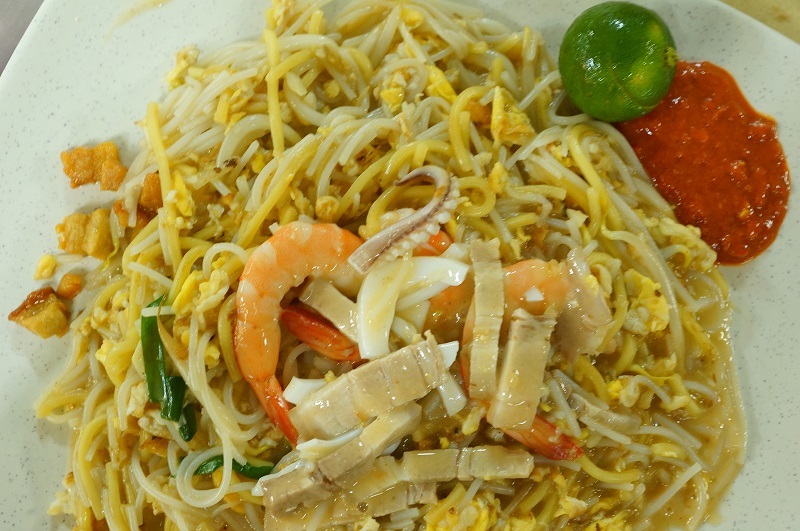 Unfortunately, most of the Hokkien mee stalls fail to understand the importance role of the eggs in the mee, it is the right amount eggs and right level of doneness that can turn the tables around. The pork lard cubes were freshly cooked and crispy to the bite, Xiao Di Fried Prawn Noodle choose not to cook with the noodles in order to retain the crispiness of the lard. How about the chili? 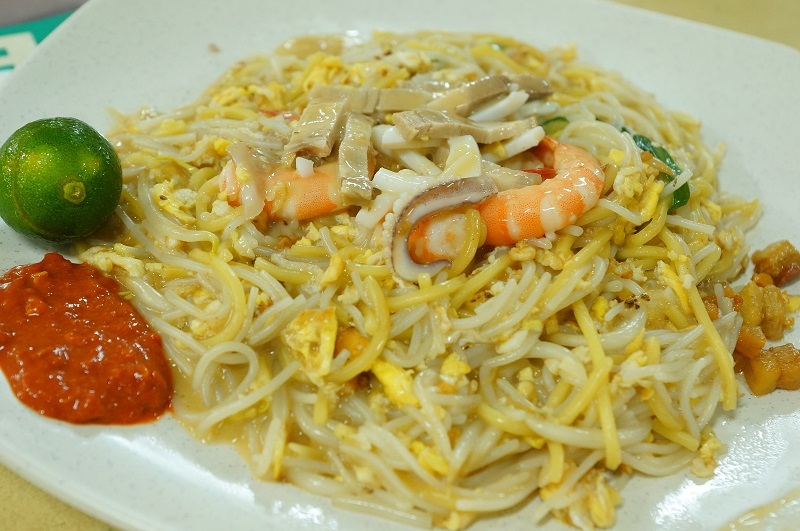 Honestly, we enjoyed so much about the Hokkien mee that you really not need the chili to complement the plate of savory mee, put in the brunt way, don’t spoil the beauty of the taste with the chili, it is an insult to this young man culinary skills. Our verdict, we need to salute the young man for whipping out this luscious dish, we don’t see an inferiority of the standard compared to those with decades old of experience in cooking the Hokkien mee, Xiao Di Fried Prawn Noodle has the substance to flex the muscle with any of the big brothers, we are pretty sure Xiao Di 小弟 (young man) don’t need to wait becoming a Lao Di老弟 (Old man) to make himself a name amongst the Hokkien mee masters. Next PostA.S. 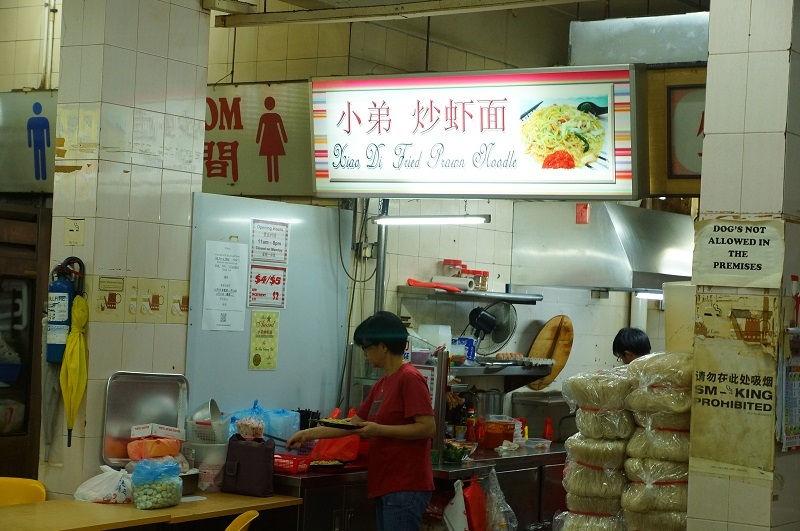 Seafood Soup, Bedok 安盛海鲜汤 – Perfect seafood soup! 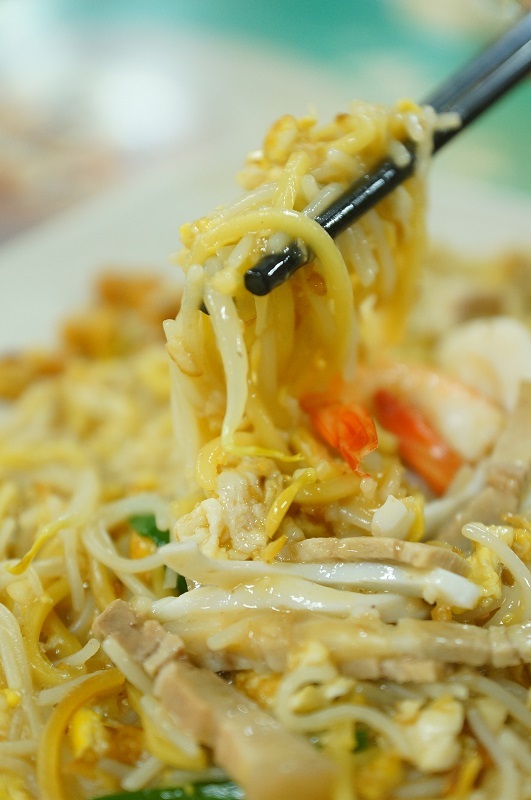 Xiao Di Hokkien Prawn Noodle- Arrogant and rude cook and staff, don’t even allow customers to take one extra plate, told customers to take it or leave it. Will never patronize them again. Sad to hear that the rude service. We do definitely boycott for bad services as well.